UPDATE: There has been some confusion as to the point of this post so let us attempt to clarify it's purpose: we are not debating when someone should or should not where a cassock, nor how often it should be worn. Instead, we are highlighting how the institute fails to follow it's own constitution and often uses symbols of orthodoxy only for show. We've given additional examples in this post how the Institute's superiors use the constitution for show and to control those in their care, but don't really follow it themselves. One of the largest problems with the IVE is the fact that they fail to follow their own constitution. 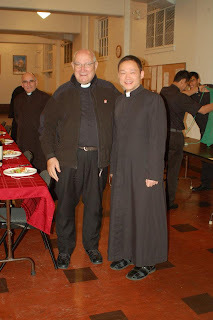 One of the most visible examples of this when you are inside is the fact that many of the priests, especially the Provincial, Rector, and Founder, almost never wear their habit. 154 The religious of our Institute must wear the Holy Habit, which is a sign of their consecration and witness of their poverty. The value of the habit is given “not only because it contributes to the propriety of the priest in his external behavior or in the exercise of his ministry, but above all because it gives evidence within the ecclesiastical community of the public witness that each priest is held to give of his own identity and special belonging to God.” Now more than ever, signs must be utilized, “especially in today’s world, so sensitive to the language of images… where the sense of the sacred has been so terribly weakened, people also need these elements that claim to God, that cannot be disregarded without an impoverishment of our priestly service.” This sign “expresses for the religious his consecration and makes evident the eschatological end of religious life.” Let us then love the habit, which should be as our very own skin. 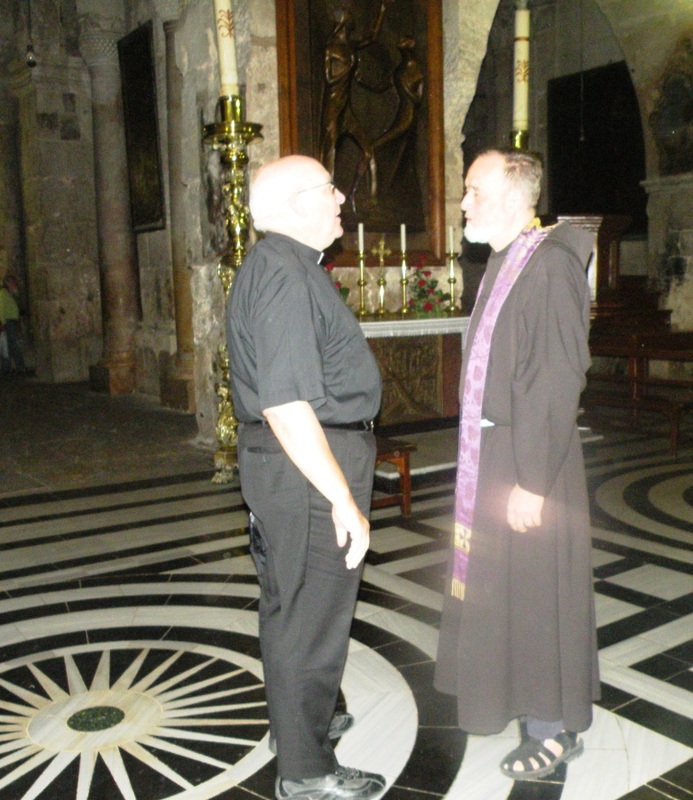 Saint Francis of Assisi said that the simple presence of a religious dressed in the holy habit was a way of preaching. The Cassock, as their constitutions say, is a very powerful sign not only to the world but to the religious themselves. Many are attracted to the Institute because of what this very powerful sign represents. To many it represents Orthodoxy and a different direction or commitment to a way of life that, those not wearing habits do not have. Unfortunately priests in the IVE do not wear their cassocks except as promotional items at public events. This is not only isolated instances with those at lower levels, but goes all the way up to those in charge of formation, the seminary rector, the provincial, and the founder himself. 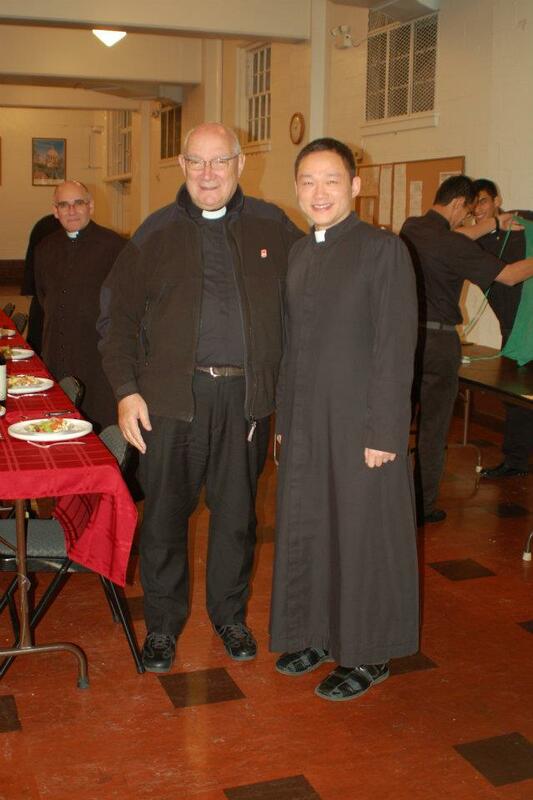 An IVE-only event is the last place you will see a priest in a cassock. There are certainly reasons not to wear a habit, but there are many reasons for a habit to be worn often - and many are listed in their own constitutions. They not only fail to wear the habit, but more importantly fail to fulfill their own constitutions. 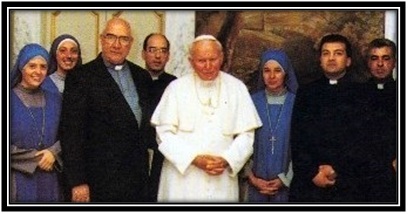 Some may say these are only isolated instances or individuals, but remember that the pictures their founder himself chose to use on his book cover has him without a cassock—his “second skin”. Only those in formation where their cassocks the majority of the time - and they would be corrected by superiors if they did not. It is sad that they have chosen to use this “habit” more as a public advertising piece, to try and recruit vocations, than for the theological and spiritual reasons it should be worn. Institute of the Incarnate Word barred from Irish diocese? For more about Ireland read this post here. We stumbled across a story we thought was relevant given our discussion of Institute of the Incarnate Word's history of conflict with ecclesiastical authority. A South American religious order, the Institute of the Incarnate Word, whose priests had been working in a rural parish in Co Wexford, has been suspended by Bishop Denis Brennan. This follows the unexplained departure last month from Kilmyshall parish, outside Bunclody, of Argentinian-born Fr Ignacio Mikalonis. 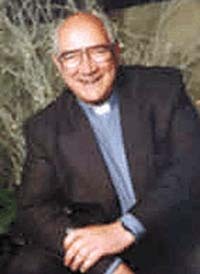 It's not clear what happened to Fr Mikalonis. Was there some sort of abuse and was he forced out or did he just leave the order (which as we mentioned is very, very common)? This is important: they were not kicked out because of the actions of their priest. They were barred because they refused to answer their Bishop's questions. This lack of cooperating with Bishops is a pattern of behavior we outlined previously and it begins almost immediately after their founding in Argentina. We do not know why the IVE failed to respond to the Bishops request for information. We do know they had no such reluctance telling the US Bishops about Fr. Mikalonis. They warned the entire USCCB to be on the lookout for the priest. You can see a Diocesan memo on Google Docs here. That seems like a strange step for the institute to take, but maybe they think Fr. Ignacio will attempt join his brother - also ex-IVE in the diocese of San Jose, California, and they want to make that move difficult for him. If they were really interested in transparency, they'd be honest with the Irish bishop. Again, there is no indication that Fr Mikalonis actually did anything wrong. He may have just left the order. It's unfortunate we can't get more information or clarity. 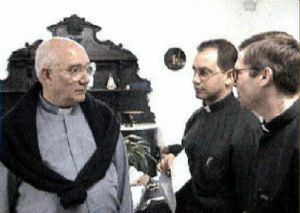 Just google "Fr Ignacio Mikalonis" or "Ignacio Mikalonis" for more info. Or you can email his cousin, Marco Mikalonis, who was also at the Irish parish with Ignacio. He seems to invite questions, so feel free to reach out. Rush to the Right Decision, not just a Decision. As I finish up my preparation for Ordination, I have had the opportunity to reflect back on my time at the Institute of the Incarnate Word. I left the IVE a few years ago because I saw many issues and problems, many which we discuss on this site. I had a good understanding of the Church's tradition and I spent over a year discerning the priesthood, reading numerous books on its sacrificial nature and many writings from the Doctors of the Church. With this background, all due to God's grace, I was able to recognize the problems with the IVE and act appropriately. Unfortunately, not everyone entering the Institute had the same background and many were unable to recognize the warning signs. I often felt helpless, unable to help the confused and well intentioned young men trying to fulfill God's will while subjected to the Institutes problems. It is to try and prevent others from entering, uninformed, into a similar situation that I write this. One of the major problems with the IVE is their recruiting. The IVE encourages people to enter who have never attempted to or are still discerning their vocation. They often try and make young men feel special by telling them God may be calling them to the priesthood and they must join the IVE to discern if this is true. Yet the IVE does this with no intention of helping them to discern after entering. They often take quotes from Saints out of context to pressure one to enter. These quotes must be seen in proper context and they are not presented as they were intended by the Saints. When speaking of the urgency a saint mentions regarding investigating religious life, one must remember that when these words were used it was not possible for one to be enter a religious community one week after beginning an investigation into a vocation (though it is possible with the IVE.) It often took years to enter a religious order during the time period these saints lived. (Remember all The Little Flower went through to enter Carmel!) Those years would allow proper discernment from all parties. Yet with the Institute, one is encouraged to enter right away and not delay. This is not the intent of those quoted. One must begin discerning God's will right away, but one must not rush to judgment. God's will is too important for a rushed or imprudent decision. One must not confuse a new found love for God with a religious vocation. We are all called to love God with all of our being. God wants us to love Him as He intends and we must discern to determine what He desires from us. 2nd - Determine which state in Life God is calling you to. God's wants one to discern religious/priestly life and there should be time and effort spent in discernment before entering an order. One should already have made an effort to duly and ornately discern a calling to the priesthood before entering religious or priestly formation. When one enters a community he is also looking for confirmation from the community that this is the community God is calling him to. The problem here occurs if one has never truly discerned priestly/religious life (as is the case with 90% who enter the IVE novitiate.) Discerning a vocation requires much prayer and spiritual direction. If one has failed to do this and still enters a religious community, he must make sure the community is committed to his continued vocational discernment. This is not the model of the Institute. To enter the institute, one should first be absolutely certain of their vocation to the priesthood, because there will be no discernment after entering. After entrance the Institute does not concern themselves with one's discernment at all - despite what they say. They are only looking to see if the person is a good fit for the Institute, not if the Institute or a priestly vocation is a good for for the individual. As long as they can help the Institute in its needs, they will be told they need to persevere in their vocation. I do not believe this is not out of malice but out of a mix of pride, ignorance, and misplaced zeal. Many in the IVE believe the Institute is the best or only place for those who desire to be holy priests or religious. They fail to recognize the holiness of other vocations and charisms. They also fail in the grave responsibility of helping someone discern God's call for them. If they had any real application process or more thorough interview to make sure that people had discerned their vocation well and weren't still looking at a vocation in general, then they wouldn't be responsible for leading them through continued discernment. 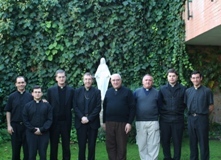 However, because they take responsibility for these souls in such an early stage of vocational discernment, they have a grave responsibility to make sure they are helping them first to discern their vocation in general, then - if one discerns a religious vocation - to look at all vocations and charisms through which God calls us to holiness. Even if you have done no real discernment before entering, the IVE acts as though, because you are there, you have a vocation to religious life, with the Institute, until the IVE leadership decides that you don't. Even the Ignatian exercises they give to seminarians do not focus on the state of life, but assume a vocation and simply encourage people to embrace the cross and not leave the Institute. This would be fine if people had a thorough discernment process before entering or a postulancy centered around discernment - yet this is not the case with 90% of those there. It is true we must all embrace the cross, but it is important to embrace the cross Christ has made for us, individually, from all eternity. Not all crosses are for everybody and a failure to embrace the cross Christ has prepared for us, specifically, endangers our eternal salvation. Embracing the wrong cross is a failure to embrace the right one! The Institute is not interested in finding out what is best for the individuals that come to them. They assume the Institute is always the best for everyone, until, if one is no longer useful to to them, they cast them aside. Good and Holy souls enter there looking for guidance, but many would be better off in other places. Some would be better off raising a holy family, others in a different community better suited to their gifts and talents. Yet if the Institute can make use of one's gifts they will never give him permission to leave and will tell him his desire to leave is based on an unwillingness to take up his cross and follow Christ. This statement may be true in some cases, but it should never be used until one has thoroughly discerned his vocation and made sure that it is the correct cross for him. Because the Institute does not insist on thorough discernment before hand and, after entering, treats one as though he has already correctly discerned, this very important step of hearing God's particular call is missed. They encourage many to take up crosses and endure many hardships that may not be those God wants for them. God may have another path to holiness for that individual, yet they are kept from it by those who are supposed to be caring for them. Yes God wants you to Know Him, to Love Him and to Serve Him. He wants you to do that without delay. He may want you in religious life and one should not hesitate one second after discerning what God is asking. Yet because vocation is the path by which God is calling one to Heaven, it is too important of a decision to rush through. Take time to make sure that the decision is correct and then run as fast as you can to the path God is calling you to. Rush to the right decision, not to making a decision. Before reading this post we would encourage to you to read our main page on Discernment (see here) which will provide an overview and give context the following material. We started this site, in part, to warn that the IVE/SVVM do not help with or encourage discernment before or after entering. If you are skeptical of this claim you don't need to take our word for it - their own words and literature say as much. We'll give some examples in this post and you can always see more by visiting our main discernment page here as well as reviewing all our posts tagged "Discernment." As the SSVM Abuse site points out, large excerpts of the book are available at Google Books and we discuss the book in further detail here. It's worth noting that, while some of the IVE catechisms and pamphlets have Imprimaturs, "Give Me Your Heart" does not. No Bishop has approved this book as being consistent with Church teaching. It's purely the work of Fr. Buela, with no support from the Church. Of course, that doesn't stop the IVE from handing it out to children. "Therefore the inner calling is an authentic calling from God and must be obeyed instantly, as if we were hearing the Lord's voice." So if you have this inner calling, which they describe as an "impulse to loftier things" then the IVE says you are being called to a vocation and need to obey it instantly. Should you pray about it? No. Do they say that you should be patient and enter into prayerful discernment like St Ignatius himself did and recommends? No. Instead, they want you to treat this "impulse" as if God is speaking directly to you. The rest of the book goes about countering any rebuttals your common sense might have, attributing all your reluctance to be from the Devil or the flesh, and playing to your desire to feel special. If you have some common sense, religious background, and personal security, then you realize how manipulative and malformed this text is. However if you are in the target audience for this book - it is, after all, part of their "Youth Series" - you are young, looking for guidance, and you probably won't know better. The very fact that you are reading this book would mean you have an "impulse to loftier things." So anybody reading the book can be hooked into their rhetoric, guilted to approaching an IVE priest, and - well we outline how the rest works on our Discernment page. As we mention in the FAQ, the easiest, most prudent step to take is to discuss this with a 3rd party. Find a few good religious orders. Contact them and tell them you have some questions for their vocations director. Be specific. Tell them what you are reading and what you are being told. Ask them their opinion. This site is intended for those discerning a vocation and considering the IVE. We apologize if some of the subjects seem a bit obscure. We understand how that could be the case for those who have not been in a religious community. If you have any questions or concerns, you are encouraged to contact the site-owners using the contact information on the sidebar. We are all people that have all spent some time with the IVE, but have now left to other orders, seminaries, or states of life. We are all practicing Catholics. Some of us require anonymity, therefore all of us must be anonymous. We are not trying to post from a position of personal authority and we encourage you to reach out to third parties for objective opinions and advice. We want people to know what they are getting into with the IVE. We don't want them to get manipulated or get poor advice before going in and we don't want them to feel trapped once they've entered. We want to give you the information we wish we had before we decided to enter the IVE. First, there is important, relevant information you won't learn from the order and you won't find online - at least not in English. If you do a search on the "institute of the Incarnate Word" in English you won't find much beyond their own website, a wikipedia page written like an advertisement for the order, and a few forum posts saying nice things. We do not feel that is enough information to make an informed decision to enter the IVE. Second, if you are discerning your vocation you are especially vulnerable. You are actively seeking God's will. You are open and accepting to what God puts in your path. You are looking for direction. Because of this, you are also very it's easy for someone to take advantage of your desire to do good and to mislead or manipulate you for their own purposes. We hope the information and practical advice we give you will help you avoid being misled and instead help you make a free, informed choice to follow God in the state you have properly discerned. #1 Recruiting and discernment at the IVE: Discernment is very important, yet the IVE does not encourage discernment prior to or after entering. 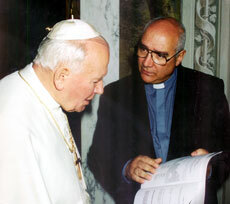 #2 Issues with the order's founder and history: The order has been investigated by the vatican twice and the founder Fr. Buela has stepped down twice and is no longer the head of the order. Their US benefactor is the very liberal, scandal-plagued Cardinal McCarrick. Etc. #3 Serious irregularities: Things that violate canon law, US law, prudence, and charity that you should know about before entering. You can see these topics in the navigation bar above. Inform: Read the information on this site about the IVE and get as much information as you can so you can make an informed decision. Discern: Educate yourself on discernment, spend time and effort discerning, reach out to others for guidance. Discuss: Talk to 3rd parties, other orders, local vocational directors. Ask detailed questions about discernment and their application process.